New Android version 3.0 ready to download in Android Play Store. You can also opt-in to beta releases for cutting edge features. We need TESTERS! Contact us in comments if you’re interested! 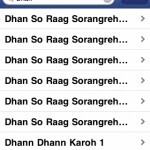 It’s been quite some time since we have updated the Sikh Sangeet web/app. 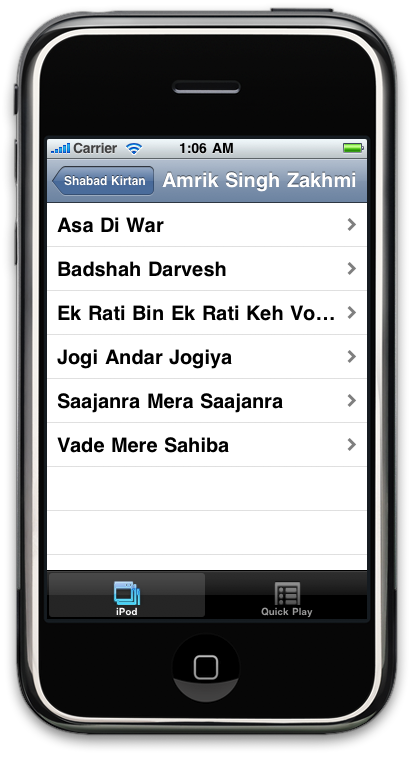 With the help of a sevadar, we have been hard at work building the new version of Sikh Sangeet app. 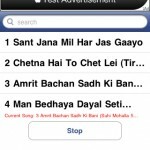 We have decided to focus first on the Android platform. It is probably our more popular platform (boasting over 6000+ at one time in its glory). 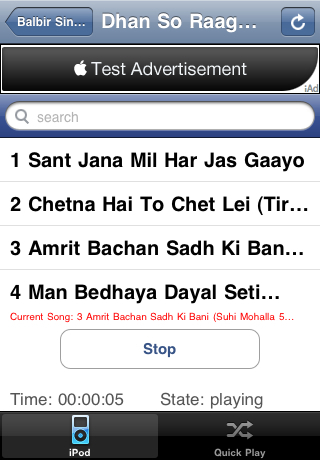 The Android app was severely broken as well especially on newer platforms. 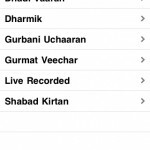 We have released a very basic version of the app that should get users with the bare minimum in listening to Sikh Sangeet media. 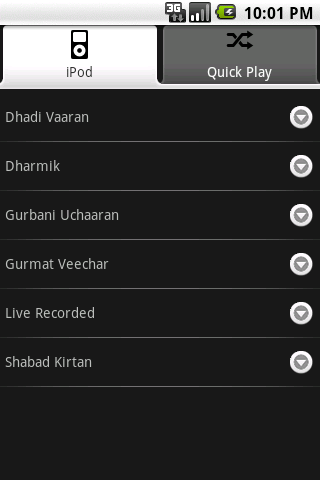 Download from the Play Store now. In an agile manner, we will be releasing updates to fill in remaining functionality. 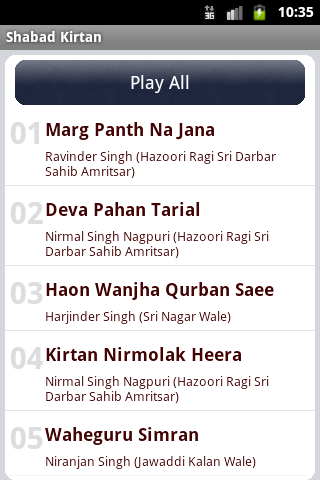 We are also experimenting with open Beta releases in the Play Store. Opt in and help us test as we iterate over experimental features. Provide feedback either through the Play Store app feedback screen. 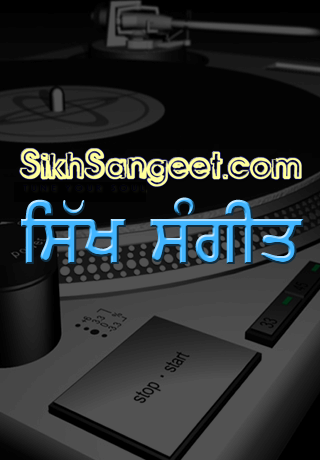 Or, contact us directly at admin@sikhsangeet.com. We’ve had a huge amount of requests to do the Android app again since it had stopped working on the newer Android versions. 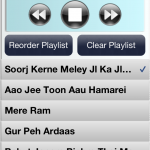 Although the app still contains bug, we have kind of rushed it to production, so that people have something to use. We will try to fix the application as time goes on. Everybody should contribute bug reports about what does not work. 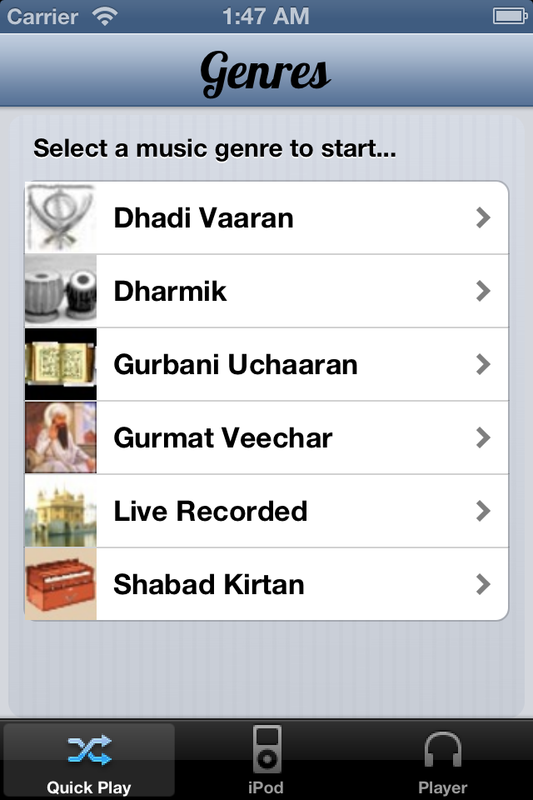 For iOS 5+, a newer version of the Sikh Sangeet app has been released. It will work on iPhones, iPod Touches, and iPads. This release adds some long needed features and fixes some bugs. 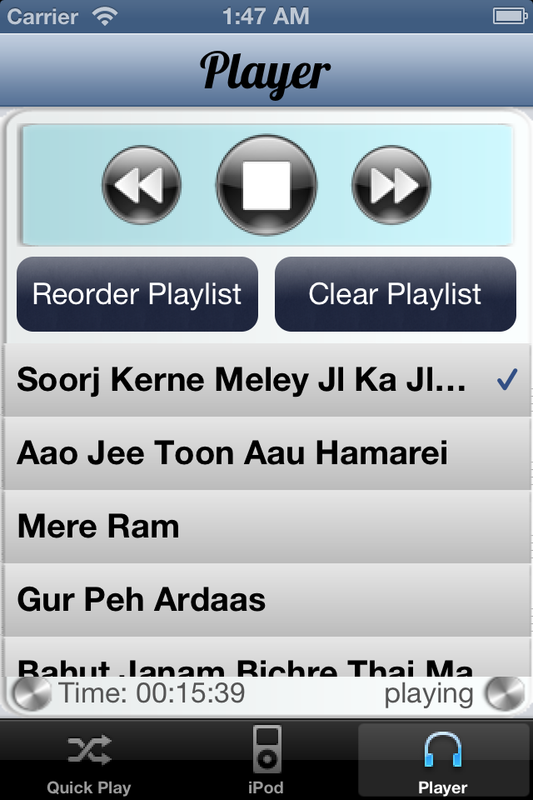 In other news, I’ve been working on an Android release, but due to some API weirdness, I haven’t been able to complete. But stay tuned. 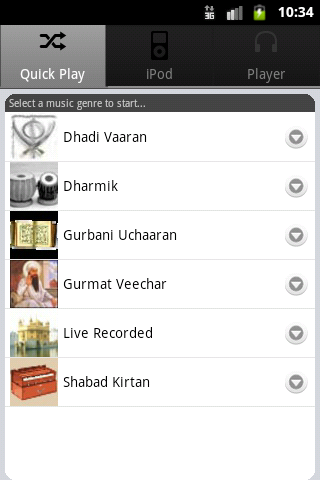 For Android OS (1.6 and above), a newer version of the Sikh Sangeet app has been released. This release addresses several bugs (freezes and crashes) and implements a new feature. Please note: As of right now, we do not have any plans to do v1.3 iPhone release. 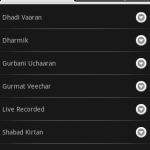 For Android OS (1.6 and above), a newer version matching the iPhone v1.2 release has been released. 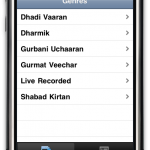 This release addresses several issues and implements the same featureset as in the current iPhone version. 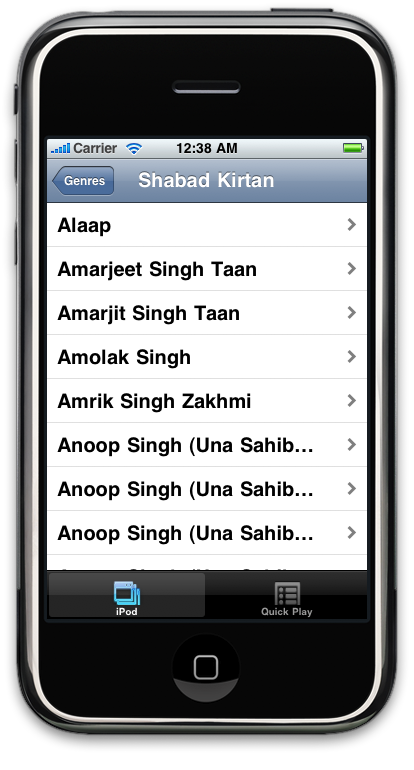 We’ve just submitted a newer version of the Sikh Sangeet app with the following listed changes. 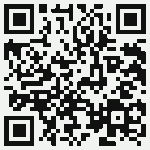 We hope that the users support us in their endeavor. 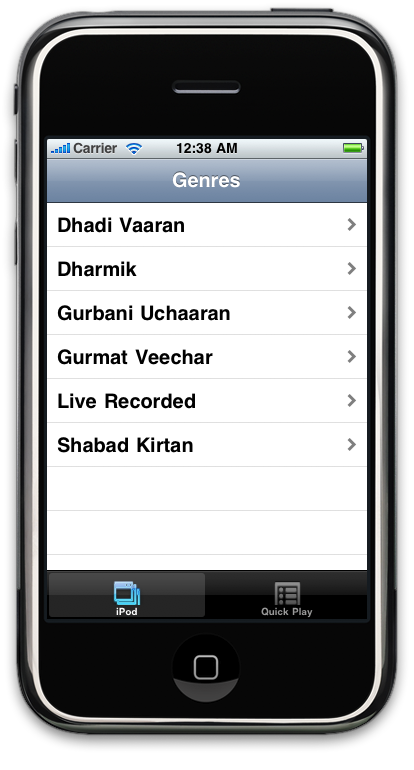 We’ve just submitted our iOS 4 update of the Sikh Sangeet App. Sorry for taking so long in getting this out, but this whole iPhone app development process was not a particularly easy task. 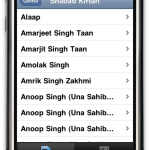 This was problematic because iOS4 SDK was not available for Mac OSX 10.5.8 Leopard, so we had to update our computer and development environment to Mac OSX 10.6.4 Snow Leopard, and go through a lot of other problems, like updating the Sikh Sangeet API, setup the new Mac, make code compatible with iOS 4, and do testing on a iPod Touch (iOS 4) device. 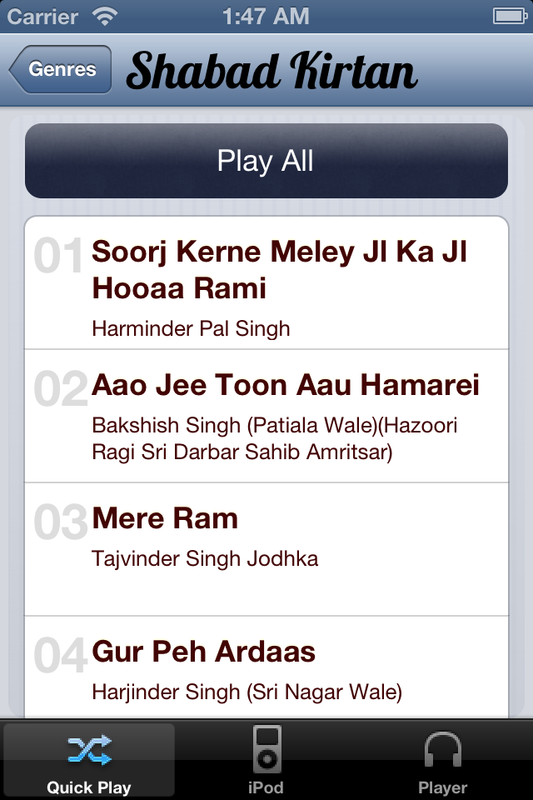 Thank Waheguru we’re done. The hold up is now in Apple’s hands. We’ve submitted the update, now Apple will probably take about a month to approve this application for the wider public. 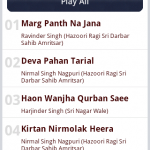 First, the Sikh Sangeet iPhone App, and now we bring you the Sikh Sangeet Android App. 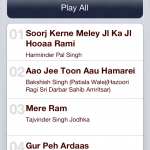 We wanted to bring Sikh Sangeet to the mobile platform with native functionality. That goal is slowly being achieved. 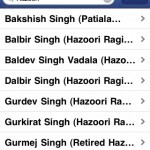 Screenshots attached! Our next mission will be to fix problems with the iPhone app. Please use the forum to report problems. Thanks. Waheguru ji ka Khalsa, Waheguru ji ki Fateh!!! 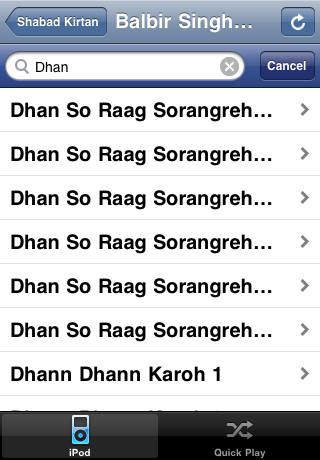 We’ve been working hard for a couple of months trying to take Sikh Sangeet to the next level. 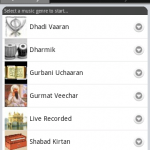 We wanted to bring Sikh Sangeet to the mobile platform with native functionality. 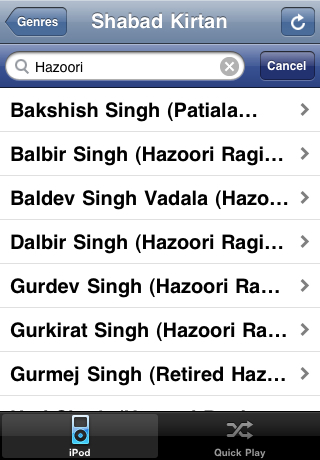 First, we worked diligently trying to put up an API for Sikh Sangeet’s vast collection. 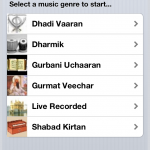 Then the API was used to quickly come up with a Sikh Sangeet App for the iPhone. 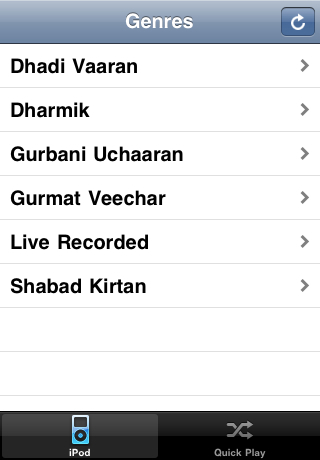 Screenshots attached! This is only the beginning, we hope to do big stuff in the future. Keep it locked! 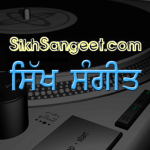 Sikh Sangeet Blogs is powered by WordPress.